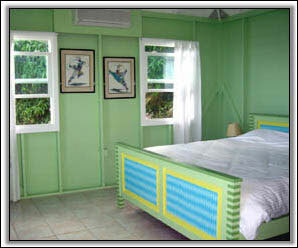 Enjoy your private getaway in the serene surroundings of this charming Nevis villa. Surrounded by over an acre of tropical gardens, it provides an idyllic hideaway to de-stress and unwind. The ocean views over to Redonda and Montserrat are stunning. 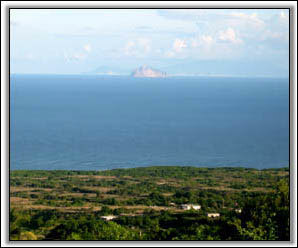 On a clear you can even see the island of Antigua on the horizon. 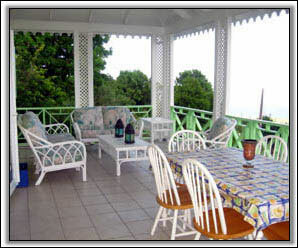 The expansive verandah captures the stunning ocean views, perfect for outdoor living. 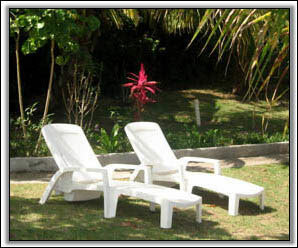 There is ample room here for barbecuing, dining and relaxing by day and night. 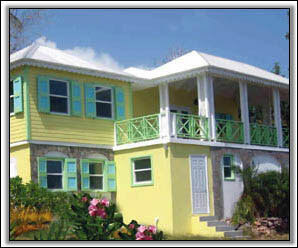 Just off the verandah, the master bedroom has air conditioning, a king-size bed, large closets and an en-suite bathroom. The bedroom features custom hand-painted furniture which is fun and whimsical whilst still soothing. There is a cot available for a young child to join his parents in the master bedroom. The large living room and kitchen are also on the upper level, along with a full bathroom. This is convenient if extra guests need to make use of the living room as an extra bedroom with a queen size air mattress bed. 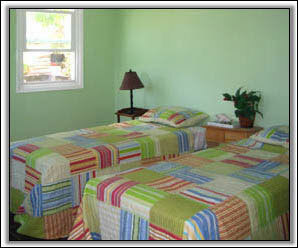 Downstairs, the guest bedroom with air conditioning and twin beds has its own private bathroom. The laundry room is also located on this level. 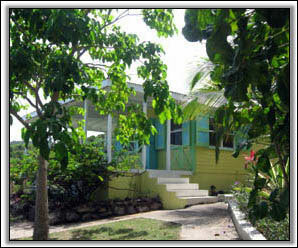 Past the mango tree, along the garden path, you will find the guest cottage. 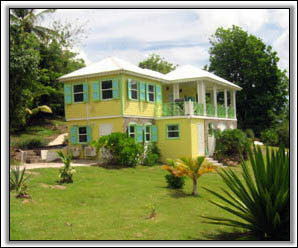 It is a real gem – a testament to the Nevisian “chattel” houses, it oozes charm. The guest cottage features a bedroom with queen-size bed, en-suite bathroom, kitchen with dining area and a very large wraparound verandah.